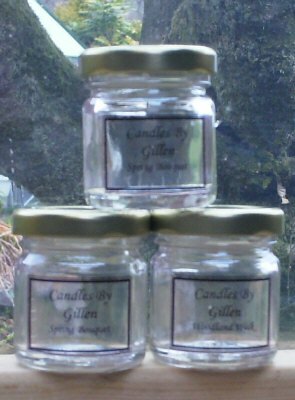 Gillen scented mini candle jar. 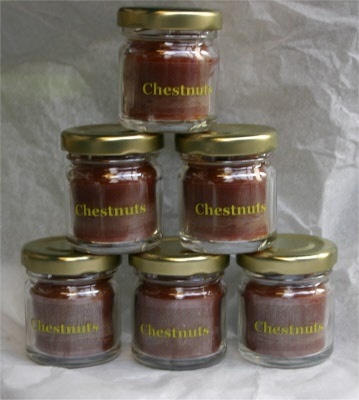 4 cm diameter x 5 cm high with gold lid, Burn time approx 8 + hours. 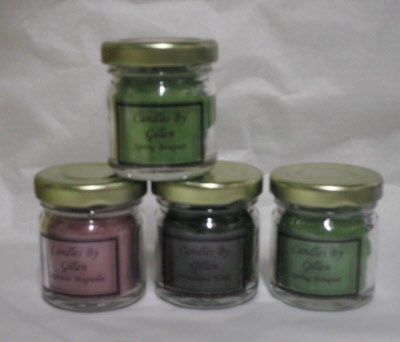 For scents choose from drop down box. High quality soya wax. This item is as for product 2106 however you can choose your own text ideal for wedding favours, corporate gifts , party bags and promotions etc. 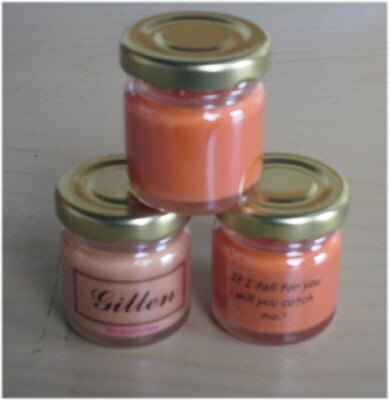 Text colour and style will be best matched to colour of wax inside e.g Darker wax will have pale yellow text; for specific text colours or label designs please ask for advise otherwise standard text will be sent as appropriate. Note we are not able to print in white,or metallic colours, unless using a white background label. For this service the set up fee is £50.00 for up to 50 units other quantity's price varies.